Harcourt Auto buys, sells and recycles quality cars and parts. Locally owned and operated, we’ve been serving everyday drivers and motoring enthusiasts for over sixty years. We are a licensed car dealer and registered parts trader. Drop in and browse the thousands of cars and components in stock. Chances are we’ve got what you need to keep your motor running. We’re on the Midland Highway, between Castlemaine and Harcourt. Just three minutes from the Calder Freeway, halfway from Kyneton to Bendigo. 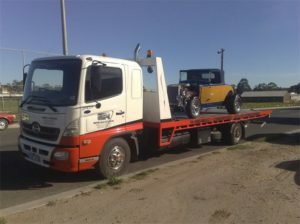 Harcourt Auto Wreckers also offers tilt tray towing and breakdown services in the Castlemaine area. 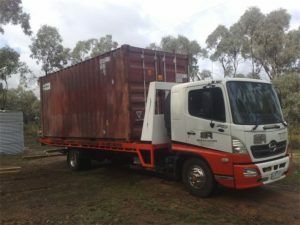 Our experienced drivers safely relocate your car, equipment or shipping container. Using the latest Hino remote control tilt tray tech, we do it without the big cost of the big boys. Engine warning? Electrics need a check? Want a new key coded? Need a component matched and fitted? Harcourt Auto fits and services everything in the shop. With qualified mechanics and the latest diagnostic equipment, we do everything from door handles to full engine replacements. 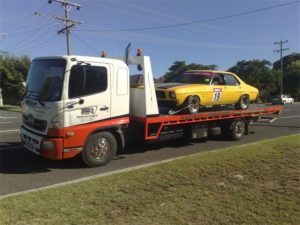 Harcourt Auto makes it easy to dispose of your old car. As a Licensed Motor Car Trader, we can deal with registered cars with or without a roadworthy certificate. That includes old cars, smashed cars, bombs and bare car bodies. We recycle them to world best practices, either dismantling them for parts or crushing them for scrap metal. We’ll pay top dollar for damaged late model cars, of all makes. Have a chat with a member of our staff about disposing of your unwanted car. Drop in at Harcourt Auto, use the contact form below, or call during business hours on 03 5474 2432. Your locally owned and operated licensed car dealer. Your reliable registered parts shop.